In 1959, The Matterhorn debuted as world’s first tubular steel roller coaster. It, also, became Disneyland’s first “thrill ride.” The forced perspective came into play as Disney Imagineers made the trees smaller and smaller as you went higher up the mountain. One of the interesting facts about The Matterhorn is the mountain is complete 1/100 scale model of the actual Matterhorn in Switzerland. Some of these holes were closed to give the mountain a “cleaner” look. Other holes were closed because when The Skyway was closed in 1994. 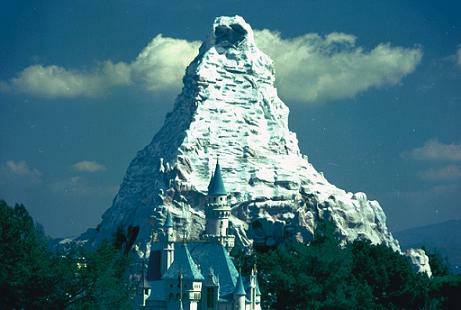 In my opinion, I like the cleaner look of the modern version of The Matterhorn. 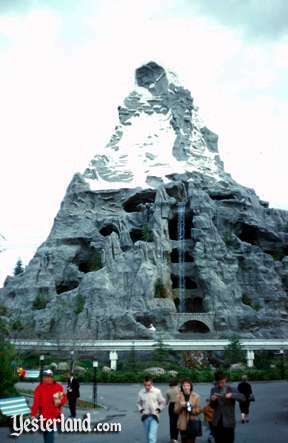 The Matterhorn and its dual track system can be seen at Space Mountain in the Magic Kingdom in Orlando. When the attraction first opened, the attraction had single car bobsleds which held up to four guests. In 1978, the ride was refurbished and the bobsleds became two-car bobsleds which doubled ride capacity. Another upgrade was computer controls of the cars on the track which held to increase the number of guests going through the attraction and shortened wait times even more. The modern cars for the attractions came in use after the 2002 refurbishment. Imagineering kept the double-car system but the number of guests per car dropped from four to three. As a result, each double bobsled only holds six guests. The biggest debate is whether The Matterhorn is in Fantasyland or is in Tomorrowland. The question isn’t clearly answered by Disneyland itself. Disneyland guidebooks went back and forth on this question. One year, The Matterhorn would be on the edge of Fantasyland. A few years later, The Matterhorn would be gone from Fantasyland and now was on the edge of Tomorrowland. The Matterhorn, originally, was built as part of the Tomorrowland expansion in 1959 but has now drifted into Fantasyland. First roller coaster built by Arrow Development which is now the leading supplier of roller coasters. A video showing the showing the changes to The Matterhorn over the years. 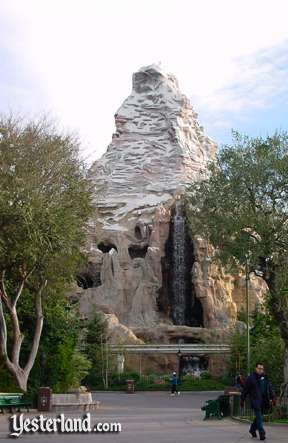 The Matterhorn, even though, it isn’t one of Disneyland’s original attractions from opening day, it quickly became one of Disneyland’s iconic attractions. It is also one of the things that makes Disneyland unique from Walt Disney World. 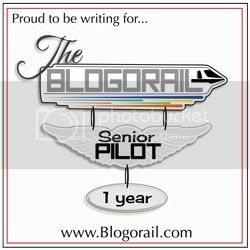 Previous PostWeekly Roundup – April 18Next PostWill We Ever See a New Country Added to EPCOT?